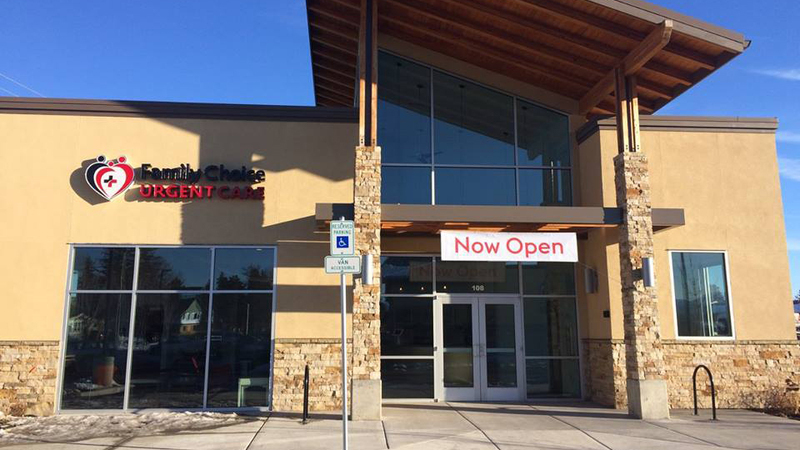 Located just off the Bend Parkway near Market of Choice, Family Choice Urgent Care opened in 2016 with the mission to provide excellent medical care to all ages at a low cost and absolute convenience to the patient. The certified care team offers patients a full range of services, including splinting and bracing, injections, wound care, sports physicals, medication refills, X-rays, and EKGs. Illnesses and injuries don’t keep normal business hours, so Family Choice Urgent Care is open seven days a week, ready to treat each patient like a customer and deliver an unmatched level of service. Walk-ins and patients with appointments are welcome, and a focus on efficiency keeps wait times as short as possible. The clinic takes most major insurance plans, discounts are available for self-pay patients, and transparent pricing means every patient will know the exact cost of treatment prior to receiving it. Family Choice Urgent Care knows your preference is to be healthy and injury-free, but when you need medical assistance, they are committed to being the best urgent care clinic in Central Oregon.